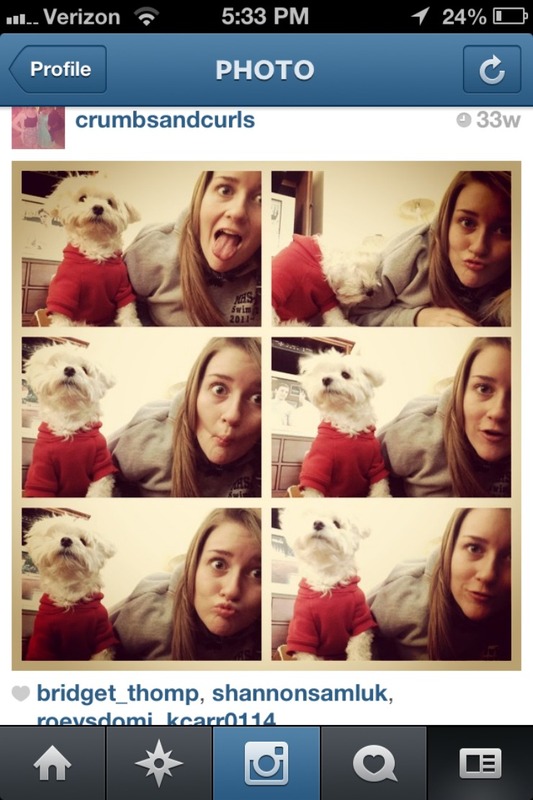 I am addicted to Instagram. It's such a fun app, how can I not be? Instagram is an awesome way to share things in your life through pictures, when you see something that you just have to tell someone about you can take a picture, post it, & tell everyone about it! I've had mine for almost two years & have a little over 400 pictures. I thought it would be fun today to share some of my favorite pictures! 1. 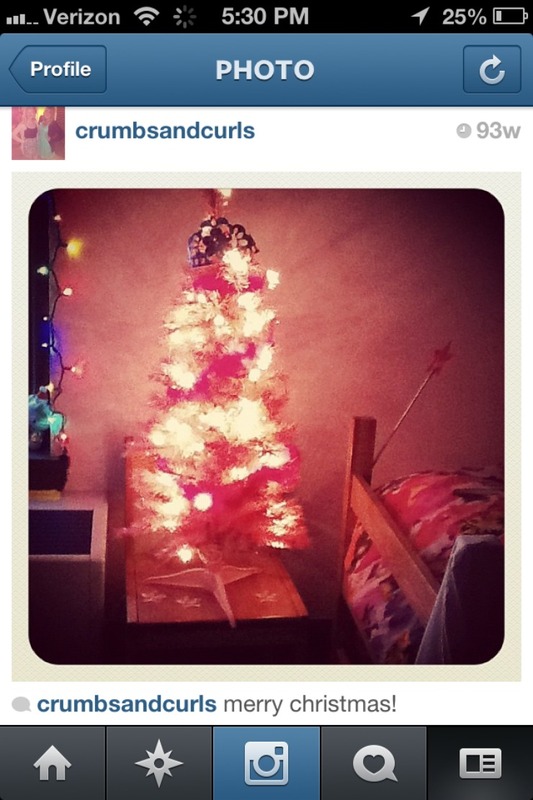 My first Instagram picture, it's my pink Christmas tree in my dorm Freshmen year. I still put it up every year & it makes me so happy that my tree is pink. 2. Last year a town near my house painted all the fire-hydrants pink for Breast Cancer Awareness Month. 3. 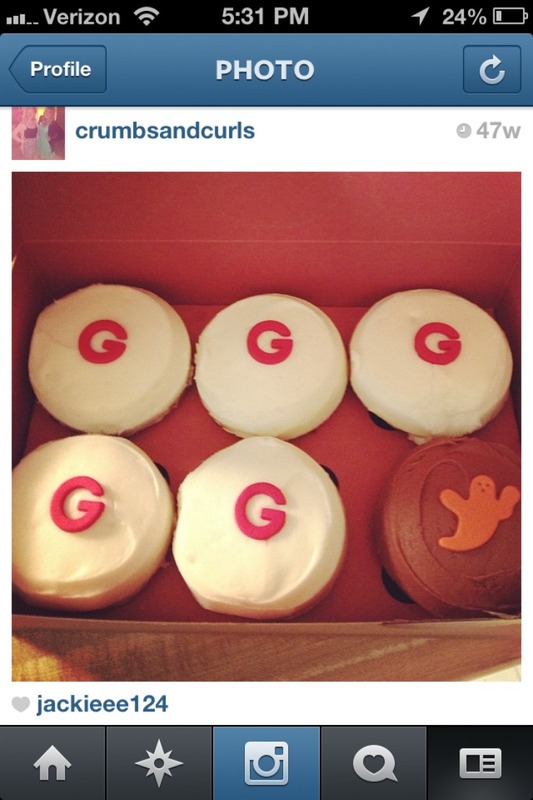 My box of cupcakes after a successful trip to Sprinkles Cupcakes New York over October Break last year. 4. 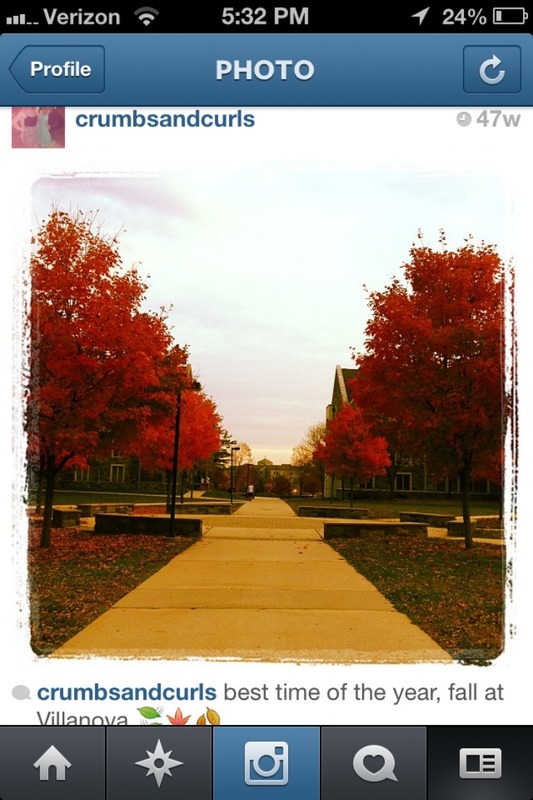 The trees lining my apartment complex at school last fall, their leaves turn the most amazing red color. 5. 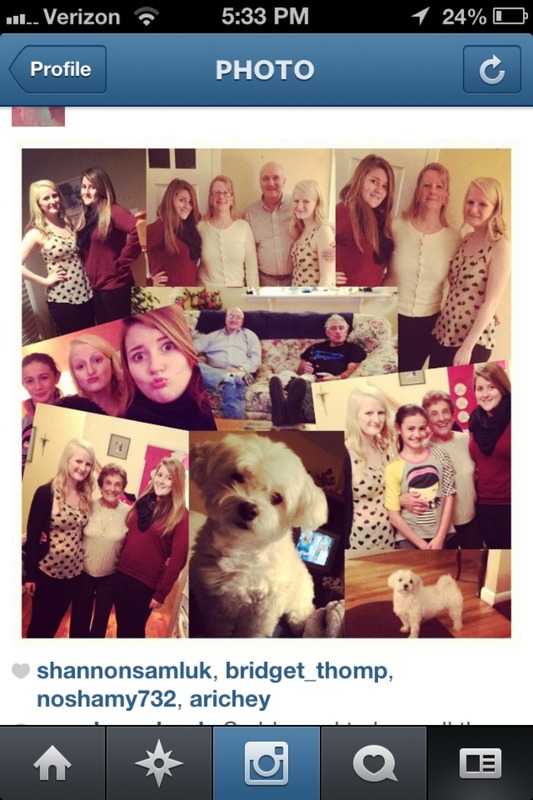 Thanksgiving 2012. Thanksgiving is my favorite holiday & this past year I took so many pictures of this great day with family. 6. Last year I was having a bad day at school so my sister got on the floor with our dog, Coco, & took all of these adorable pictures to cheer me up. Needless to say they did the job! 7. 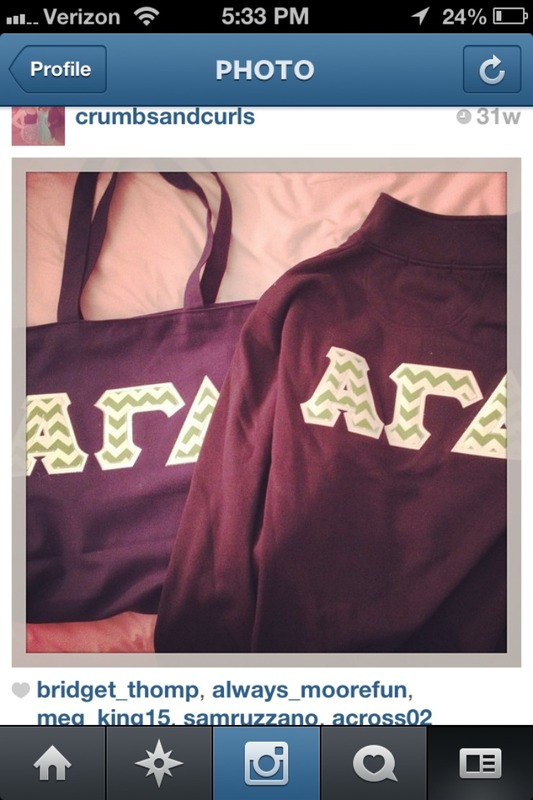 This was the day I got my bid from Alpha Gamma Delta. Getting a bid was exciting & is the reason I have made so many great friends since this day. 8. At one point last year Coco hopped in my suitcase when I was packing to go back to school, I think she was hoping no one would notice & she could come to school with me. 9. 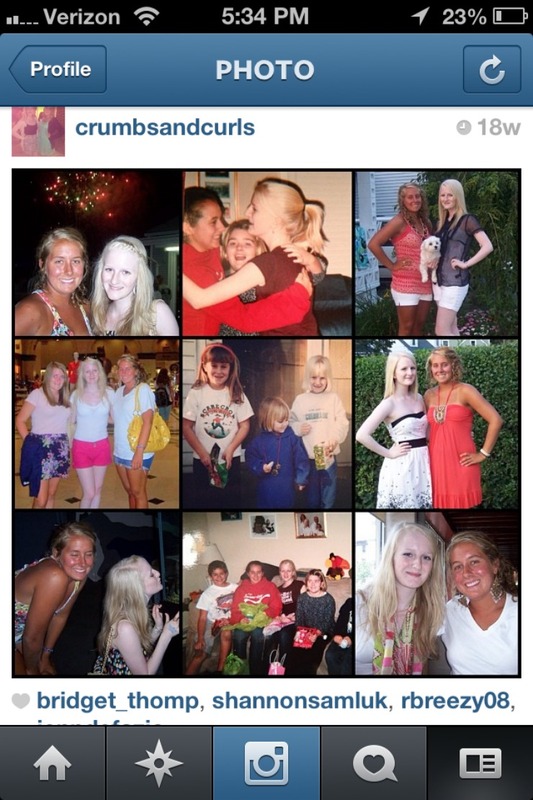 I made this collage for my best friend's 22nd Birthday, all the pictures are from the 21+ years we've been friends. I love this because it's so cool to see us from when we were little ones to adults. 10. The girls get away my mom, sister, & I took to Florida in May. 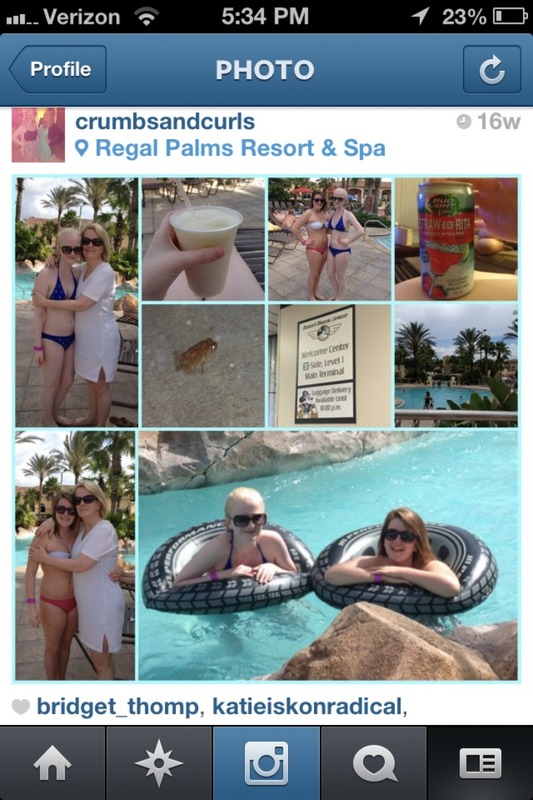 This was our first day by the pool, which was super fun. 11. 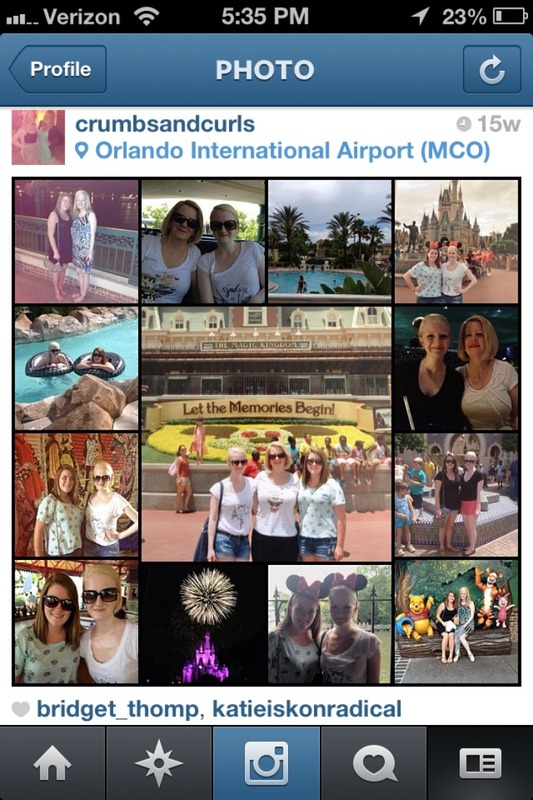 This one has pictures from the whole trip, showing all that we did. I have the best memories from this trip. 12. 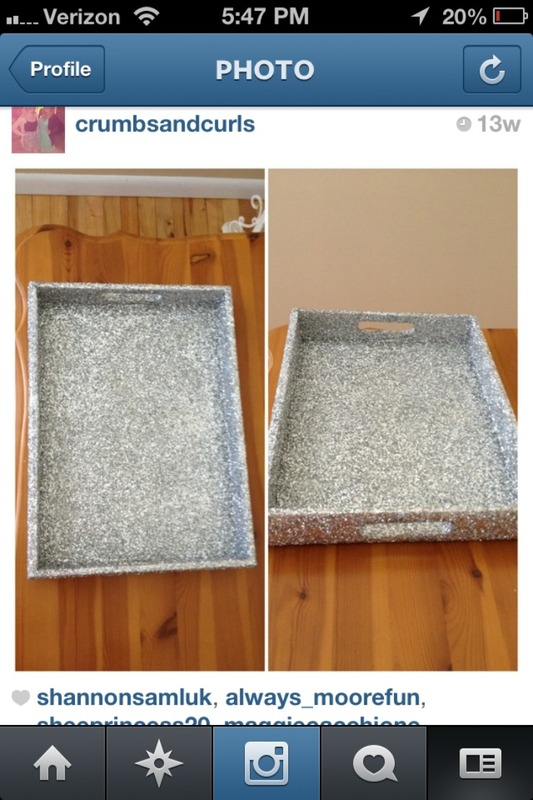 I showed a picture of this tray that I made in this 'How To' post. It is one of my favorite crafting projects to date (I've had a lot of them), & I just love how it turned out. 13. 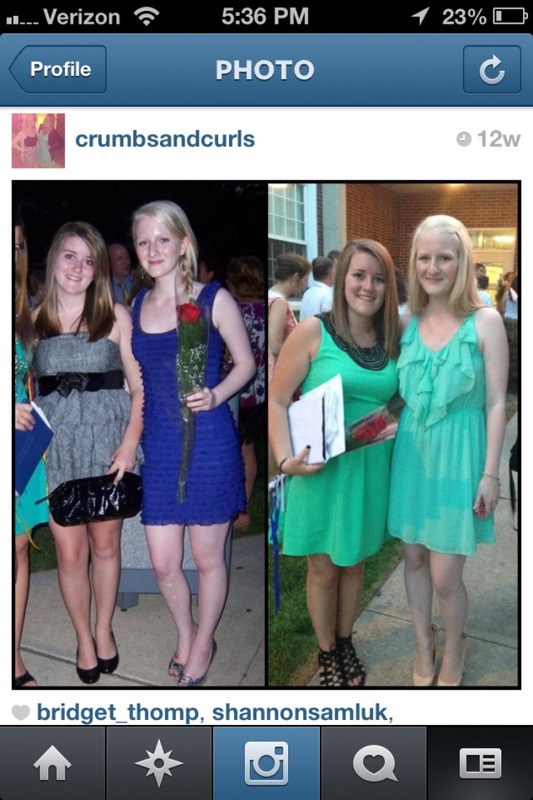 This was a 'Transformation Tuesday' showing my sister & I at my high school graduation in June 2010 on the left, & my sister's high school graduation in June 2013. It's crazy to see what has & hasn't changed. 14. Home. I live so close to the beach at home, & though I don't actually go often, I love driving by, & it always makes me feel right at home since it's been a part of my life for 21 years. 15. 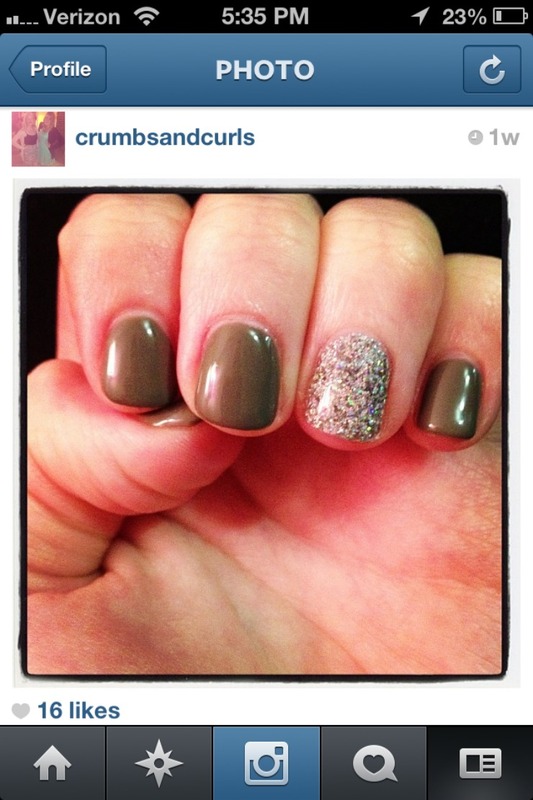 I am obsessed with painted nails, & this is hands down my favorite manicure (they're gels!) I've ever gotten. It was neat to narrow down my favorites from all of my pictures down to only 15. 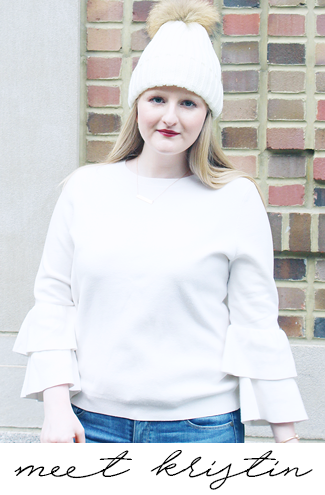 Now that you've seen these you'll have to check out my others at @crumbsandcurls, you can also click on the Instagram icon on the right side bar near the top. 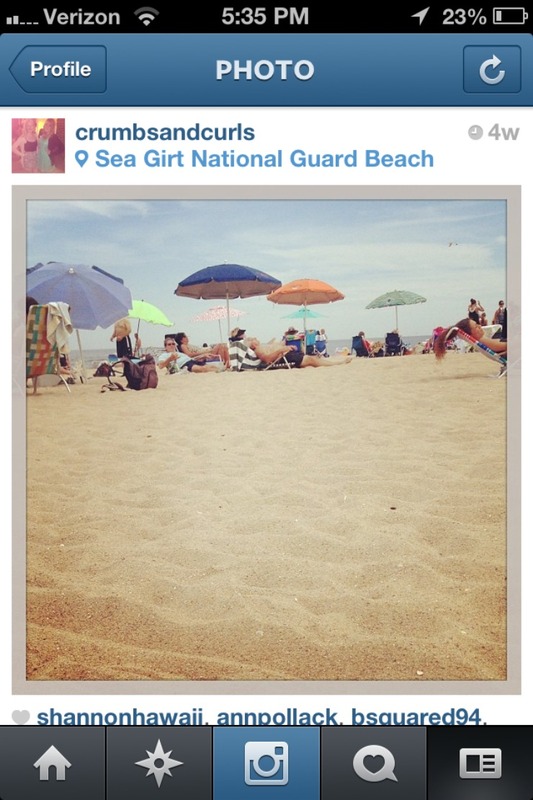 Thanks to Instagram I've been able to chronicle so many things, & give my pictures some cool filters while doing it. 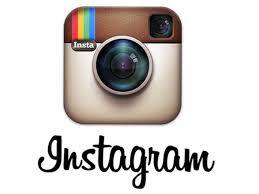 Do you have an Instagram? 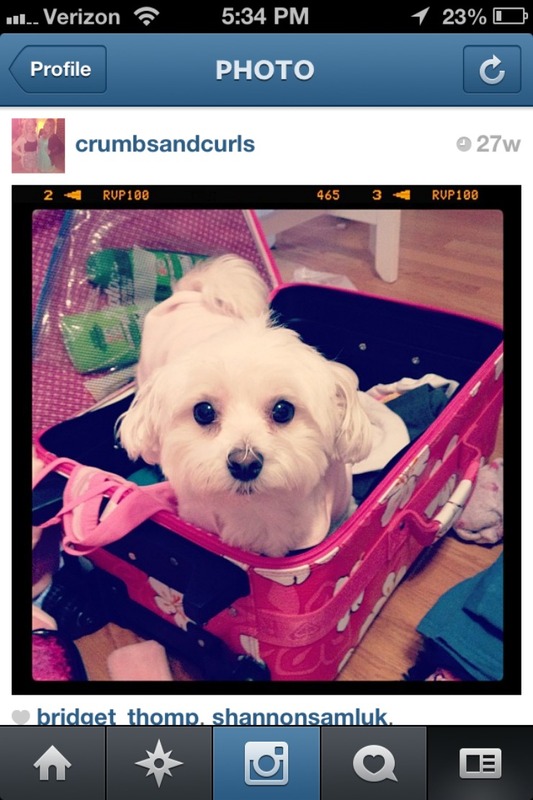 What is your favorite picture that you have posted? 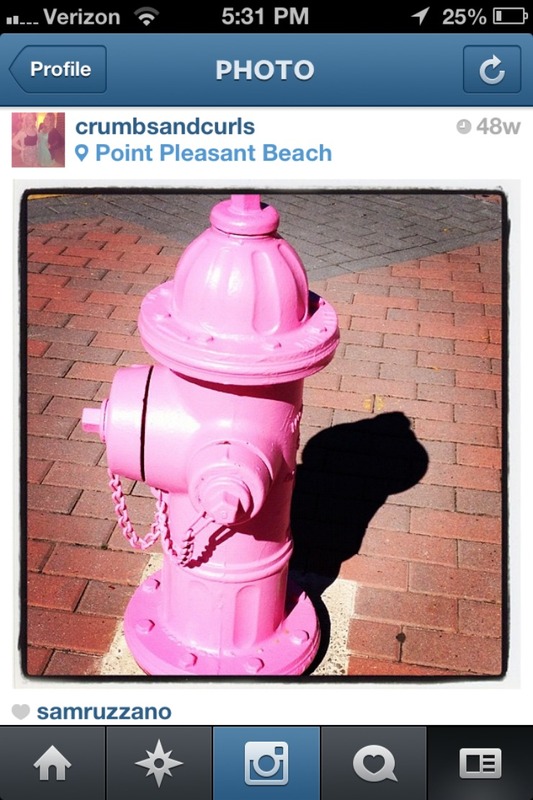 And those pink fire hydrants are the cutest thing ever. Sprinkles cupcakes are my FAVE. Now I'm craving one!